The Waterstones digital download store has now closed, but we have partnered with Kobo to ensure that you will still be able to access your library of eBook titles. On 14th June 2016 we sent you an email with a personalised link to transfer your eBooks to Kobo. If you didn’t receive this email or don’t wish to transfer your eBooks to Kobo, please contact our Customer Support Team for assistance. Kobo is one of the world’s fastest-growing eReading services, empowering booklovers to read more. With Kobo, you’ll enjoy easy, instant access to their eBookstore of over 5 million of the world’s best eBooks that can be read anywhere, on any device. Plus, you’ll earn Kobo Super Points rewards with every purchase. eBooks are no longer available to buy on Waterstones.com, and we’ve invited our customers to transfer their eBooks to Kobo. We recommend completing the transfer to Kobo in June, to keep access to your eBooks for the future. If you decline the option to move your eBooks to Kobo, but have yet to download them, please contact our Customer Support Team. Will all of my eBooks be accessible with Kobo? The vast majority of eBooks will be able to be transferred, but there may be a small number of books that Kobo will not be able to support. Kobo will inform you which titles cannot be transferred; if you have any questions about these titles, please contact us. How will the transfer work? We contacted customers by email on Tuesday 14th June with a unique link and instructions on how to transfer your eBook library to Kobo. You can then use the Kobo apps to read and enjoy your purchases. What if I don’t receive this email? Please contact us if you did not receive an email on, or soon after, Tuesday 14th June 2016. Can I use Waterstones gift cards or loyalty points with Kobo? Unfortunately not, although you will earn Kobo Super Points rewards with every purchase and Kobo gifts cards are available for purchase from a number of retailers. Audiobooks are no longer available to buy on Waterstones.com. 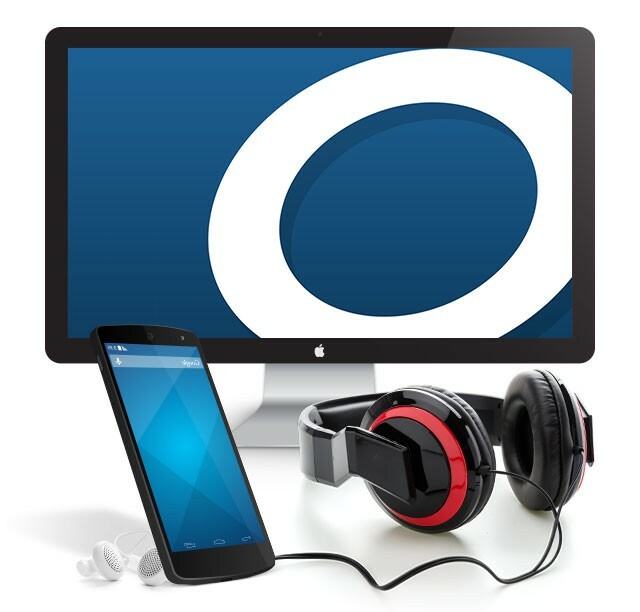 If you haven’t yet downloaded your audiobooks, please contact our Customer Support Team. How can I download my audiobooks? See our step-by-step guide below. Need more help? See our FAQ below, or contact us for assistance. Including Windows PCs and laptops, Apple Macs, Nook, Kobo and Sony eReaders. Need more help? Read our FAQ, below, or contact us for assistance. How do I listen to my Audio Download? 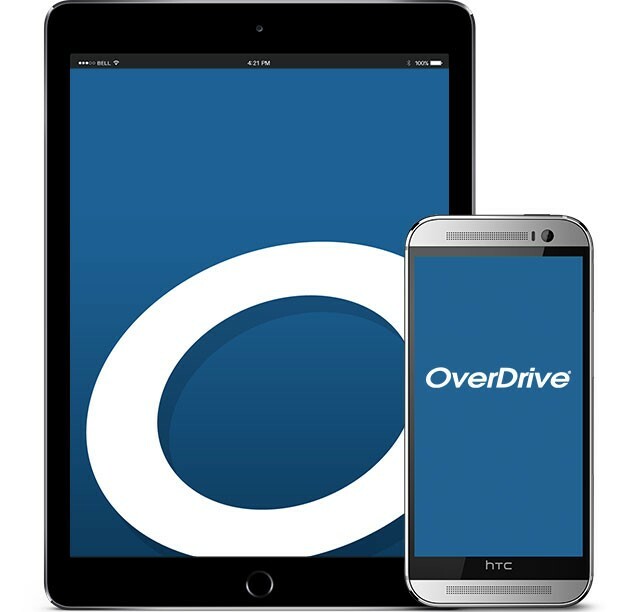 Regardless of which device you are using, we recommend you download the Overdrive app to manage your Audio Downloads. How do I read eBooks on a tablet or mobile? You can read eBooks from Waterstones.com on most smartphones and tablets, including iPhone, iPad, iPod Touch, Android, and Windows phones. Download and install the free app, OverDrive, from app.overdrive.com. On the first occasion you open the app, you will be prompted to create a free 'OverDrive account'. Please note that this is different to your Waterstones account. From this point, simply press 'Download' when you've made an eBook purchase from Waterstones.com using your device, and your chosen title will open automatically within the app. Alternatively, to access your previous purchases, sign in to your Waterstones account, then select 'eBooks and Audio Downloads' to see your eBooks. Where can I get more help with Overdrive? If you encounter any problems using Overdrive, please visit help.overdrive.com for assistance. How do I read eBooks on an eReader, PC, or Mac? You can download eBooks from Waterstones.com onto your PC or Apple Mac and then transfer them onto any eReader that is compatiable with ePub eBooks such as NOOK, Kobo or Sony devices device using Adobe Digital Editions. Before you download your first eBook, please create an 'Adobe ID'. This ID (usually your email address) acts as your unique key to be able to open the eBooks that you buy. Please note that this is different to your Waterstones.com account. Download and install Adobe Digital Editions on your computer. During the simple set-up process, please select the 'Authorise my computer' option by selecting 'Adobe ID' as the eBook Vender and enter your Adobe ID and password. 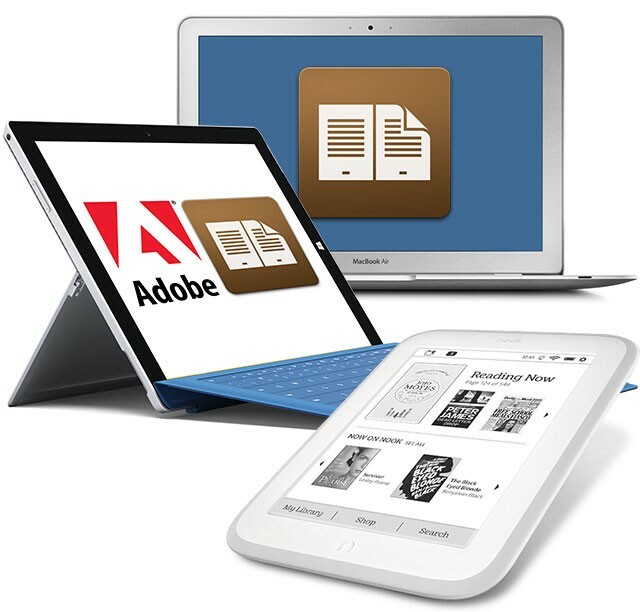 If you have an eReader, connect it to your computer and turn it on; you will be able to use Adobe Digital Editions to transfer eBooks onto your eReader. You may then read the eBook or copy the eBook(s) to your eReader by dragging and dropping them from the 'Library view' onto the Reader icon in the left hand panel. If the eBook is a large file, a progress bar may appear as the eBook is copied. You may then exit Adobe Digital Editions and disconnect the USB cable from your eReader. Your eBook is now loaded to your eReader and can be read. Where can I get more help with Adobe Digital Editions? If you encounter any problems using Adobe Digital Editions, please visit helpx.adobe.com/digital-editions for assistance. How do I listen to Audio Downloads on any device? You can listen to Audio Downloads from Waterstones.com on most devices including, Windows PCs and laptops, Apple Macs, smartphones and tablets. From this point, simply press 'Download' when you've made an Audio Download purchase from Waterstones.com using your device, and your chosen title will open automatically within the app. Alternatively, to access your previous purchases, sign in to your Waterstones account, then select 'eBooks and Audio Downloads'. We would strongly advise you to avoid creating more than one Adobe ID or Overdrive account, as this will cause problems with opening your previously purchased eBooks which will have been registered to your previous account. It is always preferable to reset your existing account rather than creating a new one. Your Adobe ID will be the email address that you registered with Adobe. To reset your password, or if you have forgotten your Adobe ID or password, please visit helpx.adobe.com/uk/x-productkb/policy-pricing/account-password-sign-faq. To reset your Overdrive password, please visit help.overdrive.com/customer/portal/articles/1481566-how-to-reset-your-overdrive-account-password. All eBooks sold on Waterstones.com are in ePUB or PDF format and these are secured with Adobe ADEPT Digital Rights Management. How do I download eBooks to multiple devices? At the request of the publishers whose eBooks are sold on Waterstones.com, all of our eBooks are in the EPUB format secured with Adobe ADEPT Digital Rights Management, or 'DRM'. DRM is used to limit the ability to copy eBooks and ties your purchased eBooks to the Adobe ID or Overdrive account that you are using. It is possible to use your account across up to six different devices authorised to the account, including eReaders, smartphones, tablets, laptops, and desktops. Your Adobe ID or Overdrive account is the key to all of this, as it identifies you as the person permitted to open and read the eBooks you've purchased. You may authorize your Overdrive account on up to six devices and you may manage these under the 'Account' section at overdrive.com. Can I read eBooks from Waterstones.com on a Kindle? Due to differences in eBook formats and DRM, the eBooks currently sold on Waterstones.com (ePUB eBooks) are not compatible with the Kindle. However, if you are using a Kindle Fire then you can use the OverDrive app if you wish to read ePUB eBooks on this device. If you have successfully downloaded an eBook or Audio Download, but you feel the content is incorrect, please contact our Customer Support Team. Please try to provide as much detail as possible about the nature of the problem, including the book title and author, as well as your order number, so that we can feed back the problem to the publisher to rectify your order as quickly as possible.